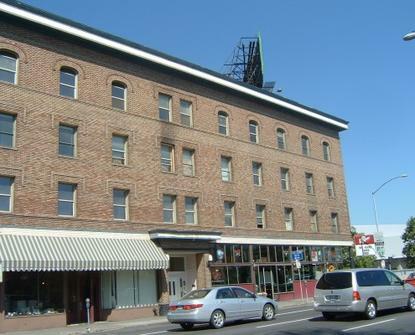 Bel Franklin Apartments, located at 225 N. Division Street in Spokane, has studio and one bedroom apartments. Bel Franklin Apartments participates in the Section 42 Low-Income Housing Tax Credit (LIHTC) program. 36 studio and one bedroom units. Total renovation completed Spring 2009 including all new electric, plumbing, heat/cool pumps, windows, insulation, bamboo laminate floors. Three floors over commercial main floor, served by new elevator. Many units have great views and all tenants have access to the roof top deck. Originally built in 1912, period details have been preserved. Bright, cheery studio and 1 bedroom units with all appliances included. Well equipped laundry room on site. Centrally located on Division and Spokane Falls Blvd, across the street from the new convention center and Riverfront Park. Bel Franklin Apartments was built in part with financing obtained through the Low Income Housing Tax Credit (LIHTC) program. In addition to providing apartments for low-income households, this property could include some market rate units. Households earning 60% or less of the Area Median Income (AMI) qualify for targeted rental units in LIHTC financed housing. This property may also designate units for renters with even lower incomes, from 60% of AMI down to 30% AMI. It is even possible that all units have been set aside for those with extremely low incomes (as low as 15% of AMI). This means that the same size unit can rent for different amounts based on the income of the renter. Bel Franklin Apartments is managed by Spokane Housing Ventures (SHV).